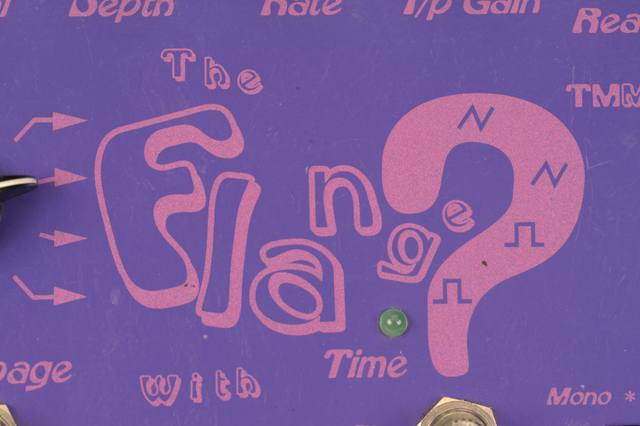 Ladies and Gentlemen of tone, please empty your minds of all thoughts and preconceptions and prepare for a journey in spaced out time as you encounter the ?™ (or “Flange With No Name”)! As can easily happen with the Man With No Name, you may see fleeting images which will disappear as you turn your head. You may hear strange and distant calls. Is it just an illusion, or are they filtering through the parallax of your mind? You are aware of movement, but time seems to be standing still (ironic or what!). 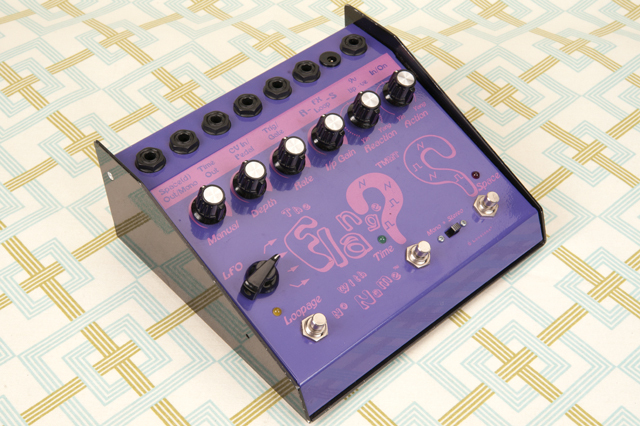 The ?™ is packed with innovative concepts producing truly stunning spatial time-based effects. 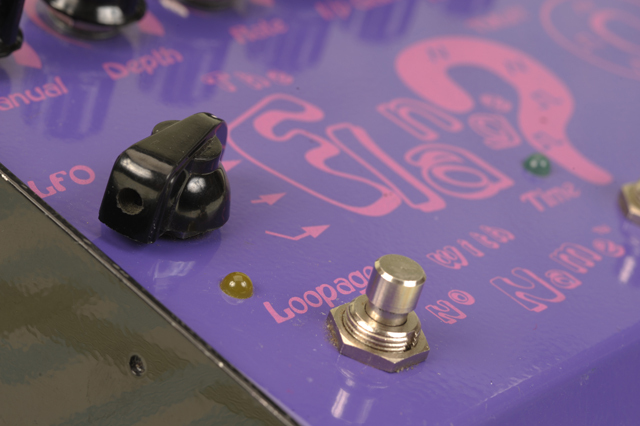 Take the best flanger you can imagine, add a decimal point, an extra dimension, and you might just begin to imagine the pristine burnished sounds that are delivered. 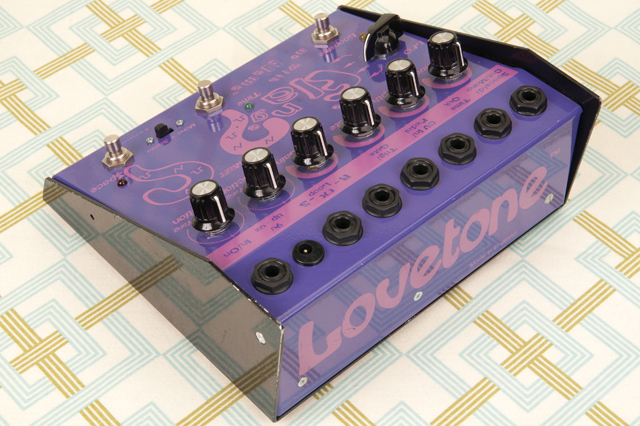 The ?™ is the most highly evolved Lovetone pedal yet and spans the whole range from hypnotic chilled out subtlety to horrifying yet strangely comforting extremes. 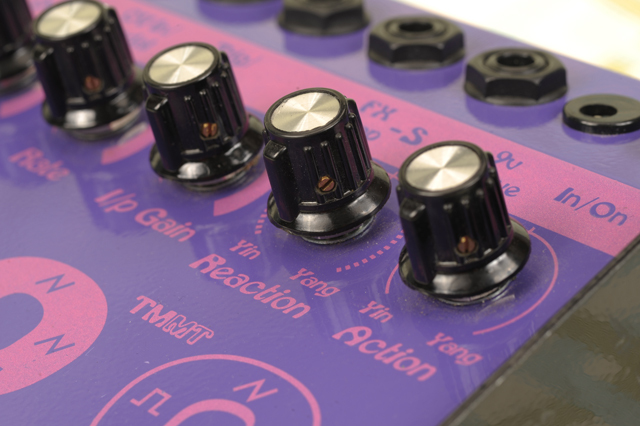 The unmistakeable vintage fatness and smoothness of tone means that when the unit is going ape it sounds like crazed modular synthesis, and not like having you nails removed as is usual with this type of effect. And yes, we have designed it very much with ape-going in mind!